Chief Ministers of Karnataka: Here in this article we have exposed the Karnataka state CM's details who have ruled from 1947 to present. 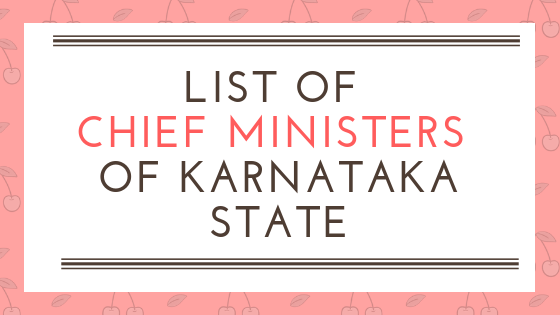 The Governor of Karnataka is the appointing authority for the Chief Minister of the state. 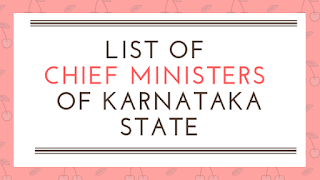 The chief minister of Karnataka takes action as the leader of the Legislative Assembly, leader of the Council of Ministers, and the chief adviser to the Governor. Below the table, we have listed the Chief ministers name, Start date, End Date and party name.